Palm Sunday – April 14– 10:30 a.m.
Maunday Thursday - April 18, 5:30 p.m. Outdoor Way of the Cross – April 19, 10 a.m.
Good Friday Service – April 19, 2 p.m.
Holy Saturday Easter Interlude – April 20, 3 p.m.
Sunrise Service and Breakfast – April 21, 6:30 a.m.
Easter Celebration Service – April 21, 10:30 a.m.
About: Maundy Thursday marks the end of the Holy Week observance. We will eat together, recall the Last Supper, share the story, and reflect as we prepare for the events which will bring us to Easter. Seder: As well, the Maundy Thursday observance will help us understand the Jewish Passover Seder and better appreciate that our present Christian Eucharist celebrations have their roots in the Passover Seder. The Story of the Passover. For more information about Easter, please visit our Celebrations page. About: This is an in-between time. It comes between Good Friday and Easter morning and is a time for us to reflect on the events of the sacred story and of how death is transformed into life, and darkness gives way to light. 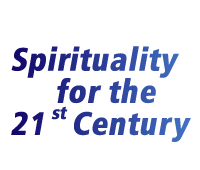 Lent is traditionally a time of soulfulness, spirituality, self-discipline, and an inward journey. Perhaps making some time to find silence, give back, unplug from technology, putting more time into what you truly value. As well, instead of the usual “giving up”, why not consider doing something for someone? Send an email, a card, write a note to a friend or someone not related to you, near or far, to reconnect, keep in touch, and say something of appreciation or care. Call two or three people for a chat just to say “hello, how are you, thank you.” Contact people you have meant to call, but just haven’t. Remember someone who means a lot to you with a small gift or token of appreciation for your friendship, or a family member who could really use some help – a plant, a pie, cookies, a casserole, a gift card? Visit someone who is shut-in, lonely, or a missing church member. Nothing can take the place of the personal touch of visiting with someone. Make a list of at least 10 people for whom you will pray daily. Include friends and strangers, and those you don’t particularly like. Forgive them if they have wronged you, and forgive yourself, too. During Lent, we invite you to find a jar, decorate it (if you wish), and collect your coins! Money collected until Palm Sunday April 14 will be donated to the inner City Pastoral Ministry to purchase food/coffee gift cards to clients in need. Thank you for reaching out to this important street ministry – a ministry of presence. About: As we enter the season of Lent, as we prepare to celebrate Easter, come and explore questions of faith: So what? Why does it matter? What impact does it have on my life and the lives of others? Why should I care? Why should you care? 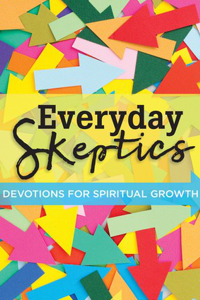 These sessions are for those to simply do a Lenten study – or in preparation of church membership or reaffirmation of faith on Easter Sunday, April 21, 2019. Kids are welcome to sit with their families when they arrive. They are invited to come forward early in the service to share a story with the minister, then go downstairs to a Sunday School session for children of all-ages. McDougall United Church is once again proud to welcome this prestigious music festival to its historic sanctuary. The 111th edition of the Festival sees the very best in young Edmonton choirs, bands, pianists, instrumentalists, singers and musical theatre performers showcasing their talents to audiences and adjudicators from across North America. 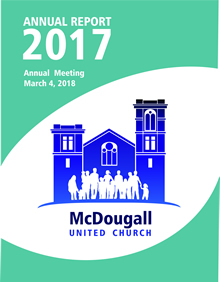 McDougall Church hosted their Opening Gala on Sunday, April 14, and will be one of several venues during this month-long Festival . Please visit their website for details and schedules. About: Haven is a group of LGBTQ people of all ages who create a contemporary, evangelical style of Christian worship largely for this community, although all are welcome. Their purpose is to provide a safe place where LGBTQ and straight Christians can worship God; it is largely LGBTQ led. McDougall United Church b ecame Edmonton’s first official Breastfeeding Friendly church in 2013. In keeping with being an inclusive and welcoming church, mothers will not be asked to move or cover while breastfeeding. They are welcome to breastfeed anytime, anywhere at McDougall. Business and public places in Edmonton who have adopted the Edmonton Capital Region Breastfeeding Friendly Policy for Businesses and Public Places are eligible to become official Breastfeeding Friendly Community Partners. Community Partners train their staff and volunteers to display a welcoming attitude towards breastfeeding mothers and children, not ask them to cover up or relocate, and to offer appropriate private facilities for women who ask. Training also helps staff handle other patron complaints about breastfeeding. 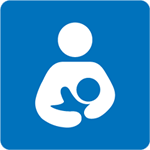 Community Partners display the International Breastfeeding Symbol. This lets Edmonton’s breastfeeding families know the facility is a safe and friendly space. 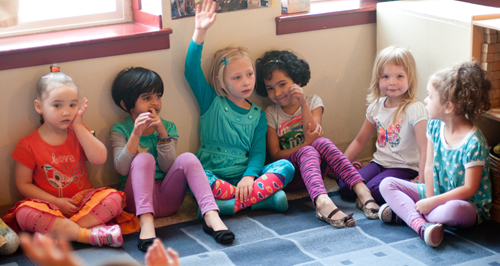 Life at McDougall - Visit our Photo Gallery for images taken in and around McDougall Church.